Confirmed plenary speakers include: Peter Eglin (Wilfrid Laurier University), Irene Koshik (University of Illinois), Michael Lynch (Cornell University), and Anne Rawls (Bentley University). Proposal submission window will be September 15 – November 15, 2016. 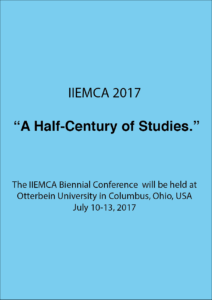 Questions can be emailed to iiemca@otterbein.edu.